The prayer, “Cleanse us from all impurity,” reminds me of something that happened several years ago while a guest of the parish of Saints Cosmos and Damien in central Moscow. I was sitting at a desk just outside Father Alexander Borisov’s office making notes for a talk I was to give that night. I had been at work only a short time when two icon restorers arrived with a large icon so dark one could only guess it was Saint Nicholas peering out of the gloom. The heavy panel — one restorer estimated it was 300 years old — was placed on a table. As the decades had passed and thousands upon thousands of candles burned before it, the image had become increasingly hidden under the smoke-absorbing varnish until it was almost black. Using a clear liquid — perhaps it was alcohol — and balls of cotton, the two worked side by side. Gradually their painstaking efforts began to reveal sharp lines and vivid colors. After an hour’s work, part of the face of Saint Nicholas had been brought back to life. I found myself the fortunate witness of a small resurrection. It was a minor act of repair that would soon grace this recently reopened place of worship which had for many years housed a printing plant. It was also a gesture containing in microcosm the great housecleaning that the church was undergoing throughout Russia after so many years of destruction, vandalism, neglect and great suffering. But icon-cleaning has still wider implications. As a writer, nearly each day I am reminded of how damaged language is. So much of our vocabulary has been blackened by the smoke of politics, economics, our culture of consumption and entertainment, the “new-aging” of old words. As someone who has been especially concerned about war and peace, I have long been aware of how difficult it is to use the word “peace.” In the Soviet era, “peace” was incessantly enlisted by those who ruled as the word summing up all they were doing or intended to do on the name of Marx and Lenin. Not only Russians were the victims of such bizarre Newspeak, but anyone in earshot of Soviet propaganda. It was a much-battered word in the west as well. Peace was as much the goal of America’s ever-smiling politicians as of those grim men in thick overcoats supervising military parades from atop Lenin’s tomb. I can recall as a child growing up in New Jersey, watching on our small black-and-white television screen the explosion of nuclear weapons on the Nevada desert, an amazing act of political theater in those relatively innocent days when no one worried about radioactive fallout. In that era the same government was canceling postage stamps with the message, “Pray for peace.” The slogan of the Strategic Air Command, the wing of the Air Force in constant readiness to fight nuclear war, was “Peace is our profession.” Peace could be assured, we were told, only by the threat of “mutually assured destruction” — a much-used phrase at the time which for some reason we no longer hear though the military structures produced by this doctrine remain intact. The acronym, appropriately, is MAD. There was on the other hand the sentimental, absolutely otherworldly use of the word “peace” in churchly contexts, where it was reduced to an emotional or spiritual condition which had no connection at all with the world we live in or the nature of the Christian’s social responsibilities, certainly not as a word which might make one take exception to the direction America and NATO allies were taking. When a word becomes its own antonym, one cannot use it without first attempting to repair the word. One of the best ways to restore the word “peace” is to pay close attention to its various uses within scripture and the Liturgy, but that must be the subject of another lecture. It is not only our understanding of “peace” which cries out for restoration. The list of damaged words would fill a dictionary. Now why am I talking about blackened icons and damaged words? Because their impurity becomes part of our impurity. When primary images and words are damaged, eye, ear and tongue are damaged. The heart and soul are damaged. We are damaged. The restoration of icons provides a metaphor of the spiritual life, the ascetic struggle to be cleansed of all impurity, the paschal struggle to trample down death by death in our own lives. The prayer “cleanse us from all impurity” is linked with the beatitude, “Blessed are the pure in heart.” To be cleansed from all impurity is to be given a pure heart. First, think about the word “pure” — clean, spotless, stainless; intact, unbroken, perfect; free from admixture or adulteration; unmixed, unalloyed; free of anything that defiles, corrupts, impairs; without taint. The Greek word is katharos. It can be applied to anything without blemish or impurity: a wine which has not been watered down, gold without alloy, fresh spring water, bread made of the best ingredients; it can also refer to language unpolluted by lies, half-truths or slogans, or signify a person without vices — an official who would never take a bribe or a person who is perfectly truthful and straightforward. Then consider the word “heart.” The brain has come up in the world while the heart has been demoted. The heart used to be widely recognized as the locus of God’s activity within us, the hub of human identity and conscience, linked with our capacity to love, the core not only of physical but spiritual life, not only of consciousness but of the unconscious, not only of the soul but the spirit, not only of the spirit but the body, not only of the comprehensible but the incomprehensible — in a word, the absolute ground zero of the human soul. Unfortunately, lately the heart has been reduced to machinery: a blood-circulating pump, part of our physical “hardware,” unrelated to the “software” of the mind. In our brain-centered society, we ought to be scandalized that Christ didn’t say, “Blessed are the pure in mind,” or better yet, “Blessed are the brilliant in mind.” We are, after all, a people who tend to regard not the heart but the brain as the core of self. It’s high praise to be described as bright. No one aspires to be labeled “slow” or “dense.” Those recognized as clever have a shot at joining the aristocracy of the intelligent and may find themselves hugely rewarded. It is a sign of the poverty of our culture that “stupid” is nearly a curse word and at times even a license to kill. A pregnant woman who knows she is bearing a child with Downs Syndrome will almost certainly be urged to have an abortion. What then is a pure heart? A heart free of possessiveness, a heart capable of mourning, a heart which thirsts for what is right, a merciful heart, a loving heart, a heart not ruled by passions, an undivided heart, a heart aware of the image of God in others, a heart aware of God’s presence in creation. “A person is truly pure of heart when he considers all human beings as good and no created thing appears impure or defiled to him,” wrote Saint Isaac of Syria. Purification of the heart is the lifelong struggle of seeking a more God-centered life, a heart illuminated with the presence of the Holy Trinity. Purification of the heart is the moment-to-moment prayerful discipline of seeking to be so aware of God’s presence that no space is left in the heart for hatred, greed, lust or vengeance. Purification of the heart is the striving to place the mind under the rule of the heart, the mind representing the analytic and organizational aspect of consciousness. “Always keep your mind collected in your heart,” instructed the great teacher of prayer, Saint Theofan the Recluse. The Jesus Prayer — the Prayer of the Heart — is part of a tradition of spiritual life which helps move the center of consciousness from the mind to the heart. A pure heart is a heart through which the mercy of God flows toward others, as is related in a story from the Egyptian desert which dates from the fourth or early fifth century. A young brother went to an elder and confessed he was constantly enduring sexual fantasies. The older monk, who himself had been spared such temptations, told his visitor that he was not fit for monastic life. Agreeing that he was unworthy, the young man set out to return to the world. In God’s providence Abbot Apollo was coming toward him, saw his despair, and questioned him about its cause. “Think it no strange thing, my son, and do not despair, for I too, even at my age and in this way of life, am hard pressed by just such thoughts as these,” Abbot Apollo confessed. “Therefore do not give up when tested in this way. The remedy is not in our anxious thoughts but in God’s compassion.” The young monk took heart and returned to monastic life. A pure heart is a heart without contempt, a source of hope and patience and compassion. Those with a pure heart are a source of encouragement to others. The more pure the heart, taught Saint Isaac of Nineveh, the Syrian, the more aware one becomes of the Creator in creation. He laid great stress on ascetic struggle — prayer, fasting, voluntary poverty, generosity to the poor — as the way to purify the heart. A warrior against passions of the world, this seventh-century bishop was passionate in his love of creation, not only the human being made in God’s image but everything which God has graced with life. I realize that for many of us, such words seem intended for others far more elevated in the spiritual life, not our ordinary selves. Few of us are praying for dumb beasts nor, by the way, do we find in the Gospel any imperative to do so. What we do find is the solemn commandment to love our enemies, to do good to them, and to pray for them. We also find the commandment to forgive. About this there is no ambiguity nor is such teaching only for those seeking a place on the calendar of saints. Christian life without love, forgiveness and mercy is no longer Christian. These things are basic. We are reminded of them with every Liturgy and each time we read the New Testament. Yet it we find it extraordinarily difficult to put these commandments into practice. Why? Our difficulties give some indication of how far we are from purity of heart. One aspect of our fallen human nature, bringing with it the illusion of separateness, is a strong tribal tendency. While the life of anyone in this room could be saved by blood donations given by a Latin American Aztec, an Alaskan Inuit or an African Zulu, we prefer to recognize ourselves as chiefly linked with those who share our nationality, language and primary stories, or — when tribalism has a religious character — with those who share a similar ritual life. Within our tribal boundaries, we are willing to make notable sacrifices, even to give our lives if there is no honorable alternative. Yet the tribe excludes more than includes. We see ourselves as radically and everlastingly separate from the vast majority, though in reality they are our brothers and sisters, equally descended with us from Adam and Eve, and equally the object of God’s love and mercy. There is a rabbinic commentary that says the reason there was only one Adam and one Eve was that so no one could regard himself as being of higher descent than another. 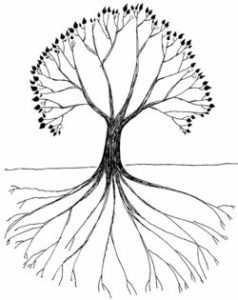 Not only war and social injustice but any failure in moral life, private or collective, often has its deepest roots in fear. Fear of rejection by our peers, with all its potentially dire consequences, is an extraordinarily powerful force in life, far more potent for most of us than the word of Christ or the witness of the saints. Christ tramples down death by death; similarly the cure of fear is fear — not fear of others but fear of God. Fear of God gives the strength to swim against the tides of hatred, enmity, propaganda, and socially-organized murder in which we are made complicit even if others do the actual killing. Let me add that fear of God is not similar to the terror someone might feel if he had to stand before Hitler or Stalin’s desk, but something vastly different — a condition of absolute awe and adoration which must overwhelm any person aware he stands before the Holy Trinity. Finally, let me mention one other obstacle to the purification of the heart — the problem of being too busy, too caught up in the structural demands of daily life, finding ourselves prisoners of rush-hour traffic. While busy-ness was a problem familiar to our ancestors, few of them could imagine a culture living at such high speed as our own. I also recall a story related in the journal of Daniel Wheeler, a Quaker engineer who had come to Russia from Britain at the time of Tsar Alexander I to take charge of draining swampland in the Ochta region south of St. Petersburg. Several peasants had been sent to his house with an urgent message. They knocked on the door, got no response, and went inside hoping to find the engineer. First things first, however. As Orthodox Christians, they first looked for the icon corner in order to say a prayer. In an austere Quaker house, this proved difficult. There was no vigil lamp and nothing looked like an icon. The peasants knew things were different in other countries. What would a British icon look like? The settled on the mantelpiece clock. Standing before it, they crossed themselves, bowed, and were reciting a prayer when Daniel Wheeler walked in the door. Were the peasants mistaken? The ticking icon on the mantle or the quartz watch on the wrist may not often be kissed but surely it is devoutly venerated by “advanced” people in our post-Christian world. I think too of an experiment in the sixties at a Protestant theological school in America. A number of students were asked to prepare sermons on the Parable of the Good Samaritan. These were to be taped for grading by a professor of homiletics. It seemed an ordinary assignment, but those responsible for the project were interested in more than what the aspiring pastors would say about the parable. Without their knowledge, the students had been divided into three groups. Some were to be called on a certain morning and told that they could come to the taping room any time in the day; others were to be told that they had to be there within the next few hours; and the rest were to be told that an error had been made — they should have been called with their appoiment time the day before and they had to come without delay. What were the results? Among all those preaching sermons on the Parable of the Good Samaritan, barely a third took the time to stop and do anything for the person lying on the ground. Those who did stop, it was discovered, were mainly the ones who had been told they could come any time that day. They felt they had time, and that sense of having time gave them time to be merciful. They weren’t overwhelmed with deadlines and over-crowded schedules — the constant problem of many people, not least clergy and lawyers, which perhaps is why Jesus cast a priest and Levite in those unfortunate parts in his parable. In reality everyone has time, indeed nothing has been given us so equally, but people walking side by side on the same street can have a very different sense of time, so that one of them is so preoccupied by a demanding schedule, or worry or fear or plans for the future, that he hardly notices what is immediately at hand, while the next person, though living a life full of obligations, is very attentive. Each person has freedom — to pause, to listen, to pray, to be late for an appointment, to change direction. The purification of the heart makes us freer, more capable of hearing and seeing those around us and responding to their needs. There is of course one more thing you must do: you must decide that within these two minutes, five minutes, which you have assigned to learning that the present exists, you will not be pulled out of it by the telephone, by a knock on the door, or by a sudden upsurge of energy that prompts you to do at once what you have left undone for the past ten years. So you settle down and say, “Here I am,” and you are. If you learn to do this at lost moments in your life when you have learned not to fidget inwardly, but to be completely calm and happy, stable and serene, then extend the few minutes to a longer time and then to a little longer still. The more engaged we are in the world, the more troubled by the destruction of the environment or the murderous violence or war, of injustice and cruelty, of abortion and other forms of killing, of the decay of civil life occurring in so many places, the more we need to take to heart such subversive advice as given by Metropolitan Anthony. Whatever we do stands on the foundation of prayer and stillness before God. Neglect these foundations and the most well-intentioned efforts are likely to go badly off course. Our work will be as impure as our hearts. Brothers and sisters, let us seek the blessing of the Holy Spirit, asking God to help us become all flame.